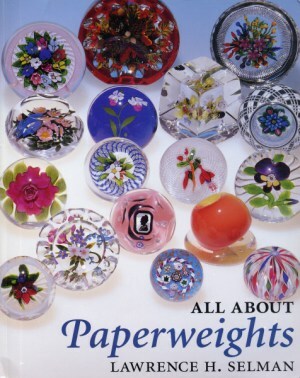 This is a great introduction to the subject of paperweights and collecting them. Written by Larry Selman, the book has over 200 color photographs of paperweights ranging from antiques to contemporary paperweights. It includes histories of the great French glasshouses during the classic period, as well as the revival period of the 1950's, and the current paperweight renaissance. Biographies of prominent contemporary artists are included. 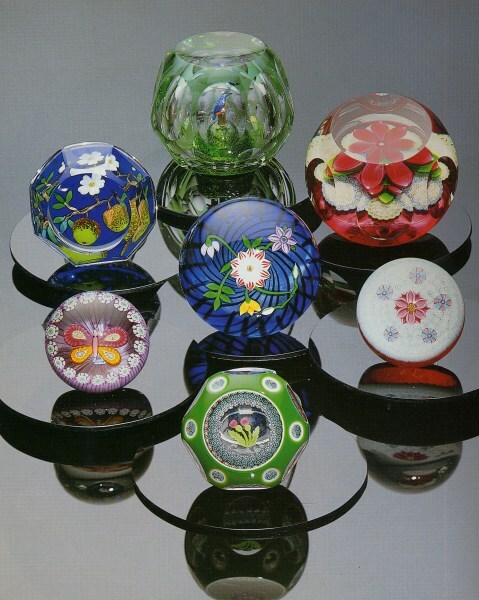 This book includes a price guide for some of the paperweights shown. 119 pages with over 200 color photographs. Soft bound. 8" by 10". 1992.